Make paying your quarterly taxes estimated easier by always having the money in the bank. When you're employed, every pay period your employer sends a portion of your pay to state and federal tax authorities to cover income, Social Security and Medicare taxes. Not so, for the independent contractor, or freelancer, from whom no taxes are usually withheld. Freelancers don't get to hold on to that extra money for long. They are usually required to make estimated tax payment, typically on a quarterly basis. But since most of our bills come around monthly, making quarterly payments can be tricky! Making a plan (and sticking with it) to save for quarterly taxes can help you stay on track. After all, if you save too much, the worst that can happen is that you've paid yourself a nice tax refund! 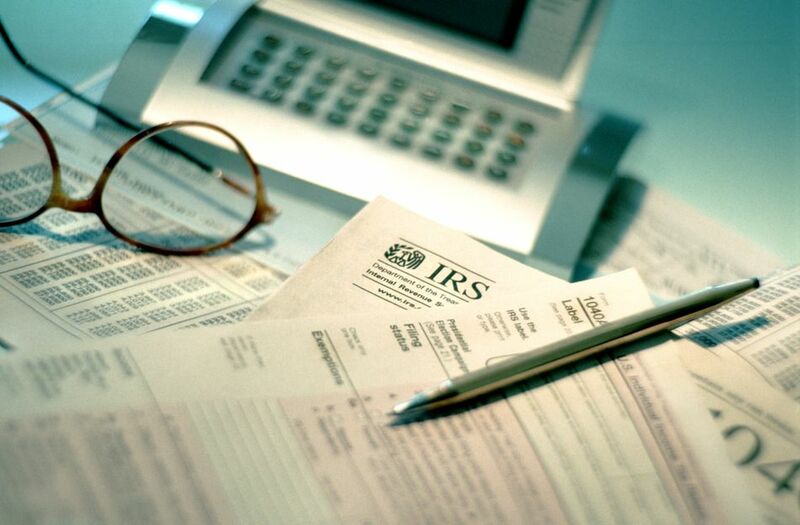 Scroll down to see 4 ideas on how to be sure you always have enough to pay your taxes. In this approach, you budget for your taxes like any other expense. Usually when you file your taxes each year, you can calculate your quarterly tax payments for the next year at that time. Calculate how much per month you will need to save to always have enough when quarterly taxes are due. But since each "payment" is to your own savings account, you have to be disciplined about actually doing it. If you are not disciplined about saving and frequently empty your savings account, have a separate account that you never touch except for taxes. Note: You can also simply pay your taxes to the government on a monthly basis, but the downside of that is that you are letting the government hold your money longer rather than earning interest yourself. Also you may need to make two payments per month--one to the federal government and one to your state government. Transfer a percentage of each payment to a savings account. If your self-employed income is sporadic, transferring a percentage of each payment into a savings account can be more practical than a monthly amount. However, be sure that you are transferring enough. Remember that you will have to pay self-employment tax (Social Security and Medicare) of about 15 percent, so that plus whatever your federal and state (if applicable) income tax rate is a good amount to put away. You may have deductions that will reduce your self-employment income and taxes in the long run, but depending on how you set up the payment system, you could also owe taxes in a quarter when your income was low or nonexistent. So it's better to put away more than you need, rather than less. Have your tax refund applied to the next year's taxes. This strategy reduces your quarterly estimated taxes, making it a bit easier to make those payments. But remember, you are letting the government hold your money for a year. In the previous two strategies you were earning interest on your money. Not so here. However, if you are undisciplined about saving, this might be the safest way to go. Have more income tax withheld from other employment income. Similarly, withholding a greater amount of taxes from any employment income that you--or your spouse--earn means the government gets to keep your money longer. And if you owed a large amount the federal or your state, it may be required that you make quarterly taxes anyway. However, this can be a painless way to "save" for taxes. When you fill out your W-4, you can adjust your exemptions so you have more withheld or you can simply state an extra amount you would like withheld from your pay. It doesn't matter that this paycheck was not earned as an independent contractor. When figuring out how much more to withhold, don't forget those self-employment taxes. When you are self-employed, they are paid with your income taxes (unlike in employment where they come out separately as payroll tax) so extra withholding will cover them as well.